Imagine a world where everything is the same – one kind of plants, trees, animals, only one color, identical homes, all the streets with same names, homes with same numbers. Imagine a world where you only have one kind of pots and pans and you eat the same food for every meal, every day, we do the exact same tasks every day – day in and day out and are surrounded by people who all look the same. Does that make you feel uncomfortable or remind you of Groundhog Day? If it does, you are not alone. “We inhabit a universe that is characterized by diversity”. Desmond Tutu. Diversity is real. It is all around us. It is in everything we see, we do, we hear, we eat, we sing. No two humans are the same. There are bound to be differences of skin color, gender, beliefs , culture etc. Even twins or triplets who may appear to be cut from the same cloth, have different genetic makeup and behavior. Centuries ago, when information did not flow easily across geographies, humans were vary of the unknown. We had a strong tendency to cling to things and people that were close to what we looked like or believed in. We shunned people who looked “different”. However, the irony is that people want to live new experiences all the time. People want to talk to different individuals and not just the person in the mirror. This has been true for as long as humans have lived – it was for want of new trading partners that The Silk Route was created and it was the quest for exploring a new country that Columbus sailed to America. Corporates are not blind to these insights. In 2016, a Thomson Reuters survey revealed that a diverse workforce created more innovative products and have customers that are much more contended and happy. Gender plays a huge role as well. Between 2005 – 2011, Credit Suisse Research Institute interviewed 2360 companies globally. It is clear from the evidence that companies that had one or more women on the board delivered higher returns on equity, better growth and at a much lower risk profile. In today’s world, if your products are used by a diverse set of people, it makes sense to have a diverse set of people design them in the first place. Diversity and inclusion does not just mean hiring people from all backgrounds. It truly means building and promoting a culture where diverse thoughts, approaches, styles, ideas and experience is encouraged and appreciated which then leads to innovation. Historically, diversity has brought us the best pieces of music, films and arts. The diverse and often groundbreaking points of view of directors, writers and actors have brought some fantastic films that have made an impact on our thought and culture. The original Star Trek Series is exemplary for it’s time and included characters from different cultures. The current Ms. Marvel series is another fine example of embracing diversity in keeping with our current socio-economic climate. Also, the reality series The Chair is a fine example of how two directors bring their own sensibilities to the same script, creating vastly different films in the process. Through my second documentary “Drawn Together: Comics, Diversity and Stereotypes”, I have tried to address diversity from the vantage point cartoons, comics, editorial cartoons and cosplay. This offers a unique yet impactful way of storytelling in a way that brings a smile to the audience, yet, makes them think. Racism and stereotyping is not associated with one set of people. People of all age groups, ethnicities, genders, cultures face it and have devised their own ways of dealing with it. The film features the work of and commentary by three comic book artists: Keith Knight, an African-American, has been dealing with this subject since birth because of the color of the skin, provides politically astute commentary. Vishavjit Singh, a Sikh who dresses as Captain America, has been negatively stereotyped purely because of how he looks. Eileen Alden a woman who is the creator of action based comics provides her perspective on gender biases in an industry long dominated by men. As a film, Drawn Together boldly encourages viewers to unlearn stereotyping, look beyond the obvious, and confront media prejudice. 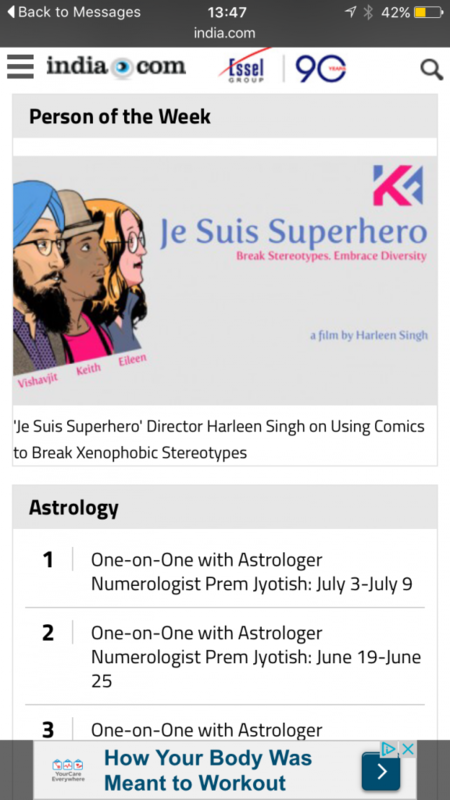 Though the film’s basis is comics and cartoons, it is essentially a film about challenging stereotypes, wherever we see a conscious or an unconscious bias. My goal is to reach out to as many people as possible across the world and talk about the pitfalls of such biases that show up as racism and discrimination. We have come a long way from the 15th century, but we need to go further. Let’s not encourage public attitudes about who may or may not be of high value in our society based on stereotypes and biased information. We need to reboot our attitude by becoming a more accepting society and break the artificial walls we have created all around ourselves. 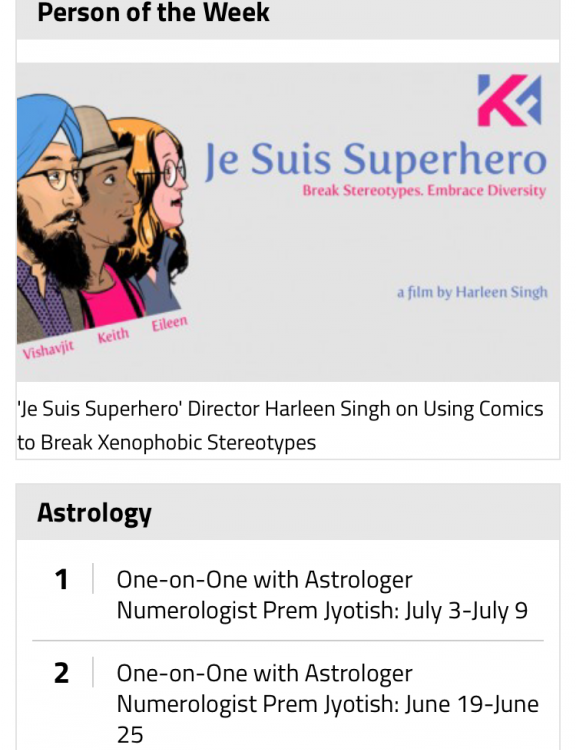 “Drawn Together- Comics, Diversity and stereotypes” is fiscally sponsored by the San Francisco Film Society and all contributions to the film are tax-deductible.